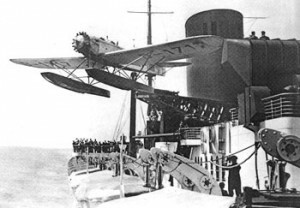 There was a time when airplanes could not fly non-stop across the oceans and consequently, mail was transported by catapulted aircrafts from a ship at sea. In the late 1920’s, experiments were undertaken from the deck of big passenger ships. The first in history was in 1928, aboard the French Ocean Liner “Ile de France” and was followed by others such as on the German Ocean liners, Bremen and Europa in 1929 and 1930. 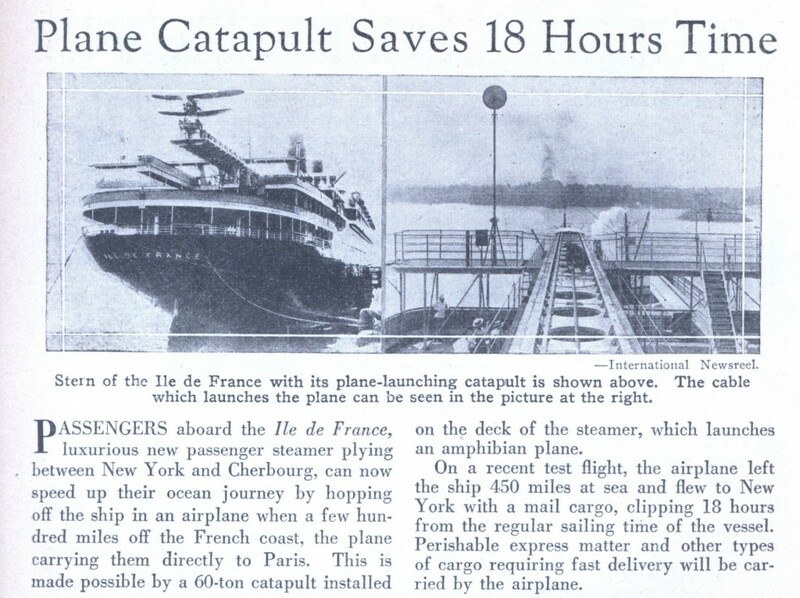 Even though the Ile de France could not claim to be the fastest vessel in the world, she briefly pioneered the quickest mail-system between Europe and the United States.In July 1928, a seaplane catapult was installed at the ship’s stern for trials with two CAMS 37 flying boats that took off when the ship was within 200 miles, which cut the mail delivery time by one day. This practice proved too costly, however, and in October 1930 the catapult was removed and the service discontinued. Wikipedia. 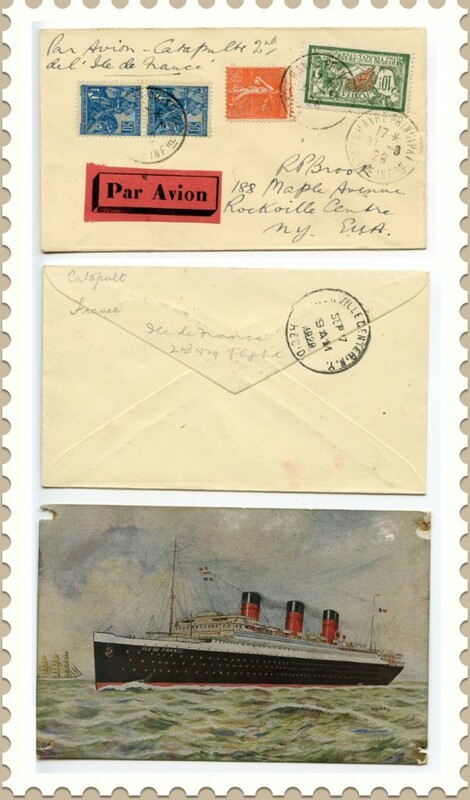 Take a look at different pieces of mail that travelled via sea and air in the video below, produced by Sandafayre, based in the UK, one of the world’s largest postal stamp auction company. This airplane thematic collection is displayed in four albums containing more than 900 stamps and 100 covers (enveloppes) on which seaplane cachets from famous aircrafts such as Junkers, Dornier and Heinkel can be found. We can identify mail from catapult flights by the special cachets stamped on the enveloppes. 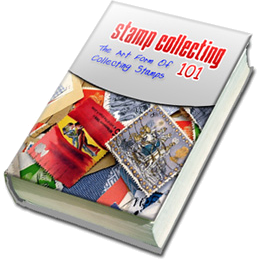 Extensive collection of stamps and covers collected by make and type of machine with one album dedicated to stamps from the Junkers F13 as depicted on 1921 Columbia Scadta stamp to 1994 Airbus A340 and the other 3 with a wonderful range of early to modern covers written up with much technical detail concerning the machines and their flights. 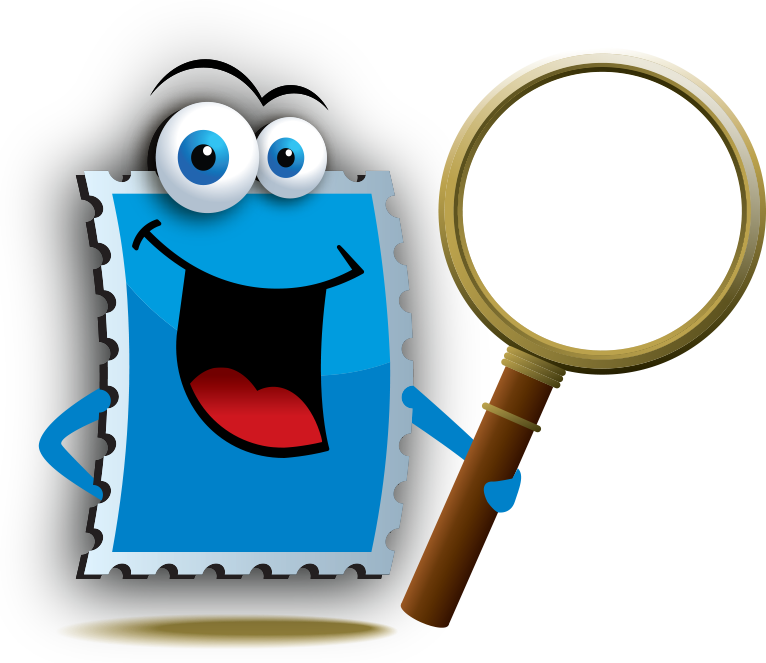 Airplanes and the history of mail delivery is another great subject to collect inside such a fascinating hobby that is stamp collecting!